Crystals For Life will be lifestreaming a number of speedruns of Final Fantasy titles for charity. FF speedrunners from across North America and Europe have gathered together at Edmonton, Alberta, Canada to show off their speedrunning skills in hopes its viewers will open up their wallets. All contributions made will be sent to the Juvenile Diabetes Research Foundation of Canada. 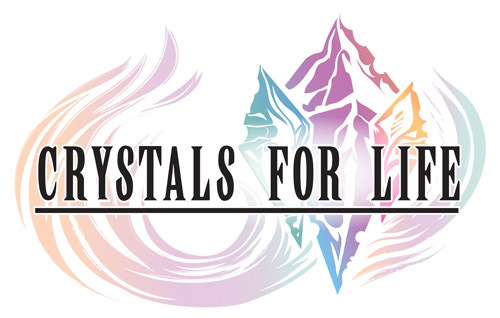 The Crystals For Life marathon will run for four days and includes a large number of Final Fantasy games including a spin-off and a couple of games that happen to have Final Fantasy in the title. All of the numbered, core (and offline) FF titles will be played except for Final Fantasy II and Final Fantasy III. They will also be playing through either Dissidia Final Fantasy or Dissidia 012 Final Fantasy. They have not decided on which at the time of this writing. They will also be playing through a number of FF titles, namely the Final Fantasy Legend series, that aren’t really Final Fantasy titles. These games actually belong to the SaGa series and were rebranded with the FF moniker for the English translation. Later iterations in the series kept the SaGa name. The speedrunners are scheduled to finish their games in 10 hours or less on each title. Considering that some of these games should last anywhere from 20 to 30 hours without doing anything on the side, one can only imagine the number of tricks these speedrunners have up their sleeves to cut this time in half. The Marathon starts with Final Fantasy IV at 4:45 PDT today and can be viewed on Crystals For Life’s website. Previous Post:oprainfall Scavenger Hunt Tomorrow, Win Prizes!